The entry-level M600 will bring your enterprise productivity, reliability, and manageability - with features like PC Cloud Manager and environmental certification, to name a few - in a surprisingly tiny package. Configure with a ThinkCentre Tiny-in-One 23 to bring you a clean cabling and effortless setup, for a modular all-in-one experience. Offering up to the latest generation Intel® Core™ processor, and PCIe SSD storage which delivers a turbo boost to productivity versus traditional SSDs. 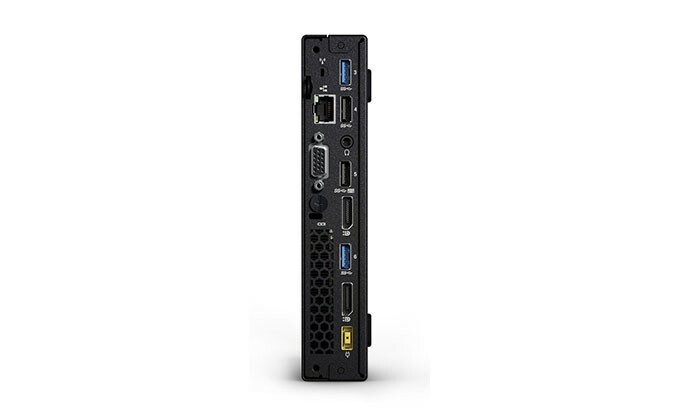 ThinkCentre M600 Thin Client is an ultrasmall form factor. M600 desktops fit just about anywhere, while still delivering reliable, enterprise-level performance. It is the familiar feel of Windows, only improved. The Start menu is back, better than ever. Expand it, customise it, make it yours. The M600 desktop provides stability for long-term deployments to help reduce transition, qualification, and testing costs, ensuring savings for your business. 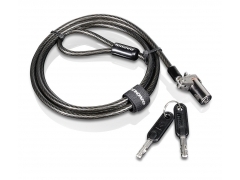 The Kensington Microsaver DS Cable Lock From Lenovo™ allows customers to manage physical security access within the enterprise, offices, schools, libraries and research labs. 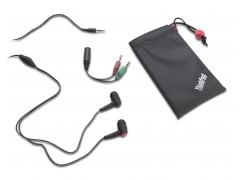 Cable locks help reduce theft, and increase physical asset security protection for laptops, laptop docking stations, desktops and flat panel monitors. Special thin lock head design fits ultrabook and ultrathin designed computers for added protection. Easy and quick locking and unlocking mechanism, with high security features, and size flexibility to fit the thinnest of form factors. 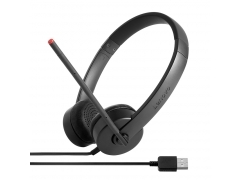 Comes in a stylish charcoal color that matches well with Lenovo’s ThinkPad Classic and Edge systems.